Can things get worse for turtle doves in northern Europe (for example, if you can’t shoot them at home, shoot them on holiday)? Possibly, for the first time anyone knows, none nested in Jersey this year when only 20 years ago they were common in places and their purring was a well-known summer sound. To understand what may be behind this region-wide decline, all aspects of the species’ ecology are being investigated, including the effects of disease. 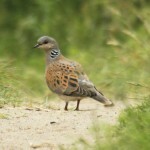 See updates on this beautiful bird through Operation Turtle Dove. Very little is known about some of the potential problems facing turtle doves on their breeding grounds in Europe, their wintering grounds in Africa and their migration routes. But could disease be an additional problem for this fast-declining bird? Columbidae (doves and pigeons) appear to be more susceptible to some diseases than other species, and being gregarious, the transmission of disease can easily spread from one bird to another. Trichomoniasis is a disease commonly found in Columbidae and is caused by the Trichomonas gallinae parasite. It is known to be a problem for the endangered Mauritius pink pigeon for example, where it can result in high mortality in young pigeons in the nest. It has recently been found in greenfinches, passed on via infected garden bird feeders, and led to a 35% decline in greenfinch numbers within a year in the UK (see BOTE reports here and here). 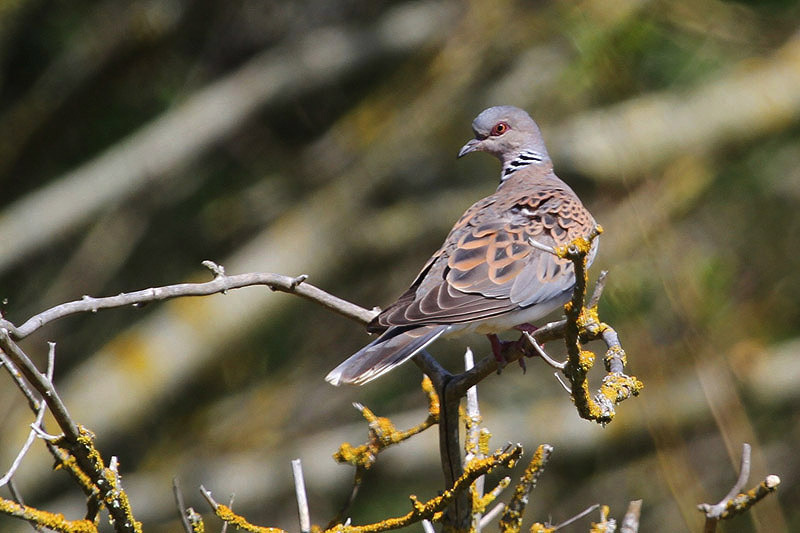 The joint study aimed to establish whether the parasite was present in wild turtle doves, as well as in three other related species – collared doves, woodpigeons and stock doves. It also aimed to understand the disease better and find out whether the parasite found in doves and pigeons is the same strain as that killing greenfinches. The team found the parasite present in all four pigeon and dove species, but turtle doves and collared doves were the most likely to carry the parasite with 86% being infected. 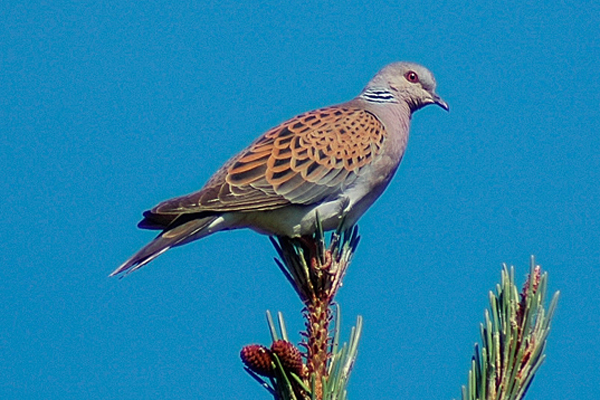 This was the first time that the parasite has been confirmed in turtle doves in the UK. Unlike the other Columbidae studied, turtle doves rely on seed food all year and they are a migratory species. 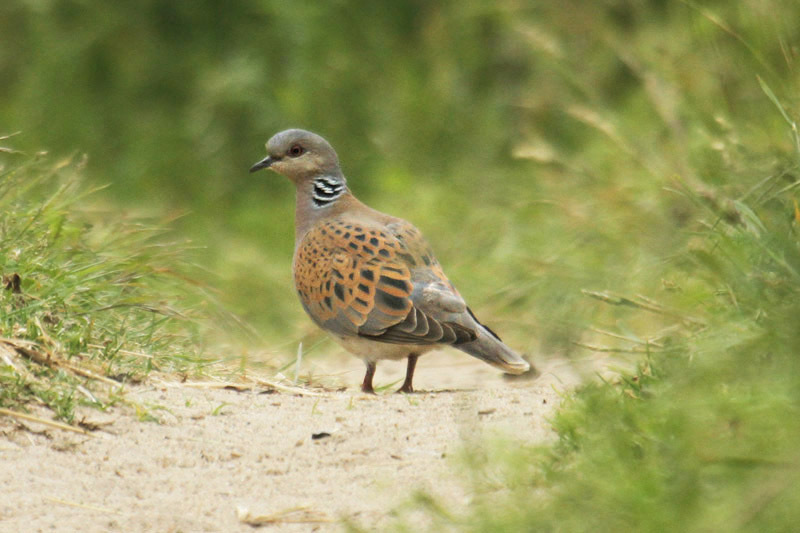 Increased agricultural efficiency has reduced the availability of arable weed seeds during the period when turtle doves migrate back to Europe from Africa and it is possible that this food stress makes them more susceptible to disease. On farms where supplementary food was put out for game birds, more of the doves and pigeons were found to have the parasite. This suggests that in a similar way to the disease being passed between greenfinches on garden feeders, the parasite can be passed between wild birds on farms. This is likely to be due to a food source, whether supplementary feeding or accidental spillages, attracting a lot of birds to the same place, meaning it is easier for the parasite to pass between birds of different species. Of the birds that were shown to have the parasite, hardly any were showing clinical signs of the disease, such as saliva round the beak, so it is unclear what effect, if any, this parasite is actually having. Four strains of this parasite were identified, but more work is needed to find out whether any of these are identical to the strain killing greenfinches. Overall, as well as providing the first evidence of the extent of infection in turtle doves in the UK, this work also highlights the need to understand the effects and implications of Trichomonas parasites on the host bird. 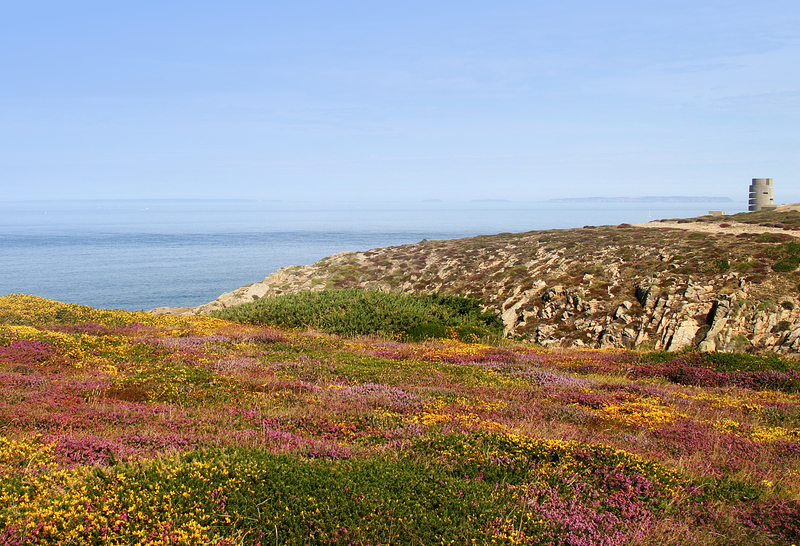 This work was jointly funded by the RSPB and Natural England through the Action for Birds in England Partnership.